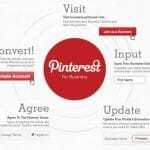 How To Use Pinterest For ECommerce Marketing – Social media networks are by far the most effective and beneficial platforms for marketing. 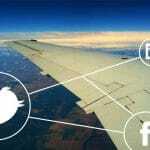 Every social media platform provide something different and unique which helps in promoting the business in an effective way. But Pinterest is quite different from all other social media networks. It is one of the most used and effective social media network so here we will discuss how to use Pinterest for E commerce marketing. Pinterest offers a variety of benefits ranging from qualified sales to building strong brand image. Using Pinterest in a correct way can immensely increase your sales and traffic in no less time. You can easily strengthen your E commerce with choosing Pinterest as a marketing platform. 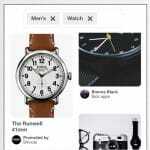 Pinterest is a very powerful social media that is on hike these days because of the luxuries it provide to the E commerce store owners. It can play a great role in your E commerce strategy if you use it rightly. So below mentioned are some of the smart ways you can implement to use Pinterest for E commerce marketing. Businesses that have a verified business account on Pinterest are more likely to get more attention from the people. To set up a business account you need to fill in the information about your business and agree to the Pinterest terms and services. Verify your website to let people know that you are a trustworthy business to invest in. Then next important thing is to create a strong profile with required images and other important things. If you have used Pinterest before then you might be aware that you need to post on the self created boards. So before posting, create a variety of different boards that showcase your business services. After this start adding different pins to the boards to make your board substantial. People will choose according to their own choice so every board might not be able to look appealing. Images are the most important part of marketing. Without using images you can never display your actual services and they become very important when talked about E commerce marketing. Correct pixels and size of the image should be used in your pins so that the customers can easily look through the details and the information on it. This is an important strategy in using Pinterest for E commerce marketing. Adding a Pin it feature in your product pages will make it easy for your customers to share your pin on their boards. Also it will be easy for you to directly communicate with the interested customers. You can do this by going to the Widget builder page and following the further steps will help you in adding the feature. This is also an important thing to do in the E commerce marketing. Do not ever forget to embed your Pinterest boards to the website. Along with this, make sure to add the product pins in the Pinterest account itself. It further has major advantages and they listed below. You will get higher click through rates. Your brand will be more visible and famous than before. It includes options like price and features. 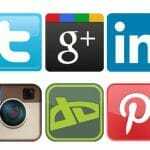 You cannot think of not sharing your Pinterest account with others and your other social profiles. In an internet driven world it is very important to share your services and details to the most extent so that people might not miss a single chance to reach you and vice versa. So if you are on Pinterest then take the help of others to let people be aware of you. Pinterest is growing rapidly and for all the right reasons. You can make or break your sales and this all depends on your strategies to use Pinterest. Therefore, if you were facing difficulties in using Pinterest correctly then I hope this might have been helpful in some way or the other.